Wisconsin GOP officials - - led by the intimidated self-promoter Scott Walker. and others who turned the Republican Party into a small-tent assemblage of naysayers and conspiracy nuts - - and who helped enable Donald Trump's national rise to power - - were willing to endorse him at their party's convention two weeks ago because they believed their own 'Hillary-is-the-most-evil' delusion. So they have refused to cleanly disavow their gold-plated, golden-tanned Presidential candidate who rails against Gold Star families and mothers foolish enough to bring their babies to Trump rallies, and still don't have the guts to make the break with Trump that any sane citizen or politico knows is in the best interest of the country. So staying away from his Green Bay rally Friday to mow their lawns or rearrange their sock drawers or whatever else they are pretending is a more important commitment - - in Walker's case, it's the scheduling equivalent of his infamous "Wisconsin Idea "drafting error" falsehold and political FUBAR - - is just more chickensh*t behavior. "Status quo ante," as my Dad would have said. Also: "People are their worse enemy." 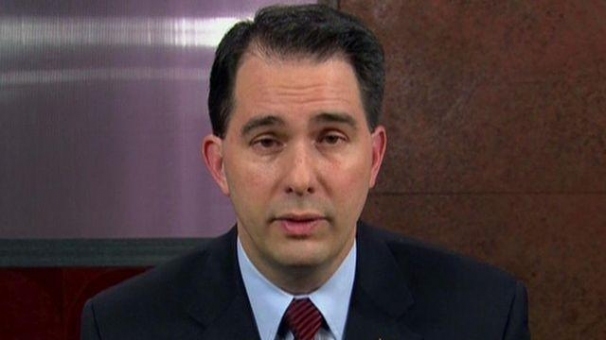 How is it that Scott Walker's nostrils appear relatively normally aligned, but his eyes and ears or so grossly misaligned? Everything from his nose down appears to approximate symmetry, but above, way out-of-whack. Is this because our Governor picked one to many times deep into the left nostril and that side of his face collapsed?